India is the land of temples, and we can hardly visit any place in India without hearing of the beautiful, famous or powerful temples in that place. The history of Delhi dates back to 3500 BCE. At one time it was known as Indraprastha, the capital of the Pandavas of Mahabharat. It is no wonder then that we find really ancient temples here, drawing people to them with the accumulated power of all the prayers offered to them over the centuries. Here we bring you the most famous temples in Delhi that you must visit. This house of worship for the Bahá’í religion costing $10 million opened in 1986. It is open to all and requires no religious affiliations or other qualifications of its visitors, who come in droves to see it. Considered to be an architectural marvel, the temple accommodates 2500 people. It has 27 petals etched out of marble, which are arranged in clusters of three to form nine sides. Space is only meant for gathering, reflecting and worshipping. Though rituals are not permitted; singing, chanting, praying or reading any religious text in any language is allowed along with lecturing, sermonising, and fund-raising. 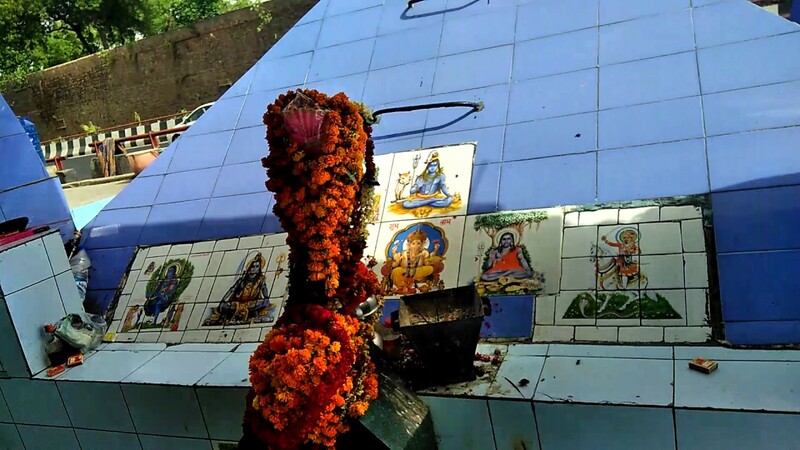 Officially known as the Shri Aadya Katyayani Shakti Peetham, this temple to Goddess Katyayani (A manifestation of Goddess Durga) is just 4 kilometers from Qutub Minar. This marble temple is envisaged and constructed through the exemplary efforts of Sant Shiromani Baba Nagpal. This huge temple follows the Vassar type of architecture and has perforated or latticed stonework on all sides. Spread overall an area of 60 acres, this complex has 20 temples, big and small, divided into three separate complexes where the temples were built in both North Indian and South Indian styles of architecture. 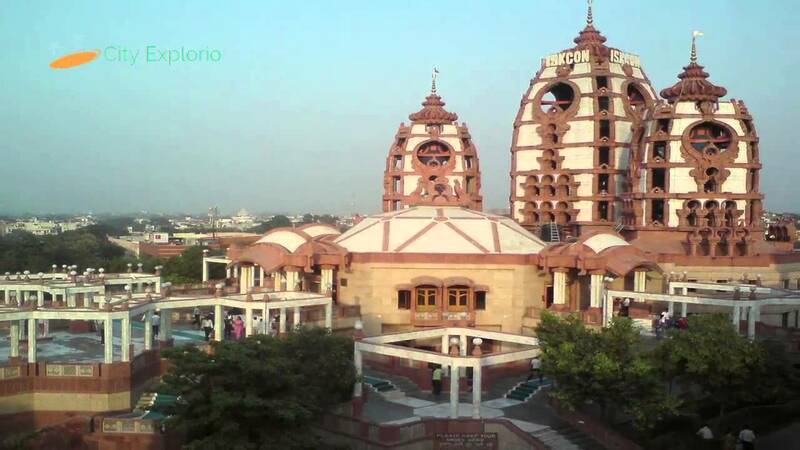 Foremost among the oldest and most revered temples in Delhi is the Kalkaji Mandir, or the Manokamna Siddha Peetha (the place where all desires are fulfilled). The Mahabharata talks of five temples being built by the victorious Pandavas after Kurukshetra and this is supposed to be one. Legend also talks about how, in Satyug, the Goddess Durga manifested in the Avatar of Kalika to put an end to the Demon Raktabija and others and remained on Earth as a swayambhu stone idol. The stop for Kalkaji Mandir is on the Delhi Metro, between Nehru Place and Okhla. A Shakthi Peetha (Seat of Power) dedicated to the Goddess Yogmaaya, the sister of Krishna, representing the illusionary power of God. This temple is also said to have been built by the Pandavas. Over the years, it has faced assaults about 27 times, from various invading armies, including those of Mohammed Ghazni and Mamluks and had to be repeatedly restored or rebuilt. The temple, which is still in use today, was re-built by Raja Vikramaditya Hemu. This ancient temple also finds mention in the Mahabharata along with the story of how Bhima came upon Hanuman (his brother as both are the sons of Vayu) and accepted his superiority when he found himself unable to move even his tail. Said to be built by the Pandavas, the temple has a swayambhu idol of Lord Hanuman as a child. The temple features a crescent moon in its spire, which is considered unusual for a Hindu temple but also credited with keeping it safe from destruction. The temple has a continuous chant of Jai Ram, going non-stop since August 1st, 1964. Said to be built by the Pandavas to worship Lord Shiva, this temple is supposed to be the venue of the Aswamedha Yaga of Yudhisthira. Located near the Yamuna, the temple finds infrequent mention in the chronicles of the city. This temple also said to have been built by the Pandavas, is a major tourist attraction for visitors to Delhi. The original temple may have seen a lot of changes over the centuries and this elegant temple is currently built of marble, with Lord Bhairav as the main deity. Bhairav temples offer alcohol to the deity and consume it as prasad afterward, and this temple also follows the practice. Lord Bhairav is specially worshipped by a sect called Aghoras who are cannibalistic. Inaugurated in 2005, this temple complex combines the finest example of traditional Hindu/Indian culture, architecture and spirituality. Sitting near the banks of the Yamuna, the temple attracts a huge number of visitors, many of whom believe it to be the temporal abode of God on earth. Etched with intricate carvings, the Akshardham Mandir alone is 141-foot high, spans 316-foot wide, and extends 356-foot long. 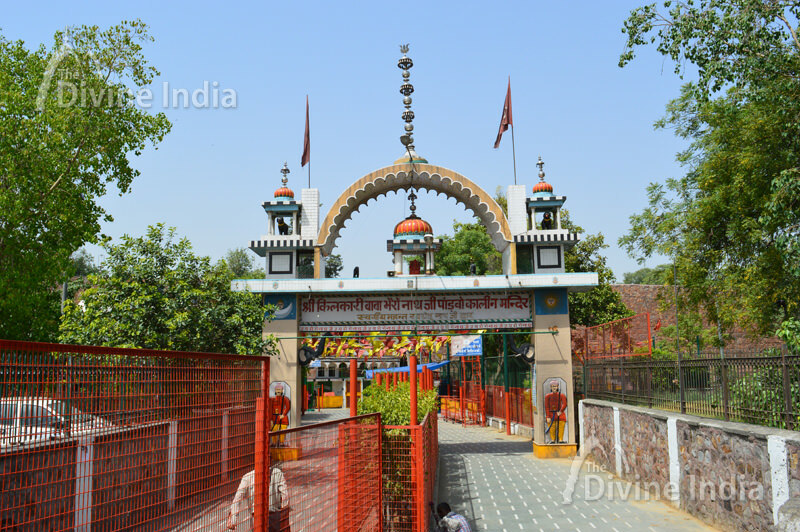 This temple to Laxminarayan Temple is also known as the Birla Mandir, is a temple to Narayan or Vishnu along with his consort Laxmi, the Goddess of Wealth. Built-in 1933 by Baldeo Das Birla and his sins, the complex has a temple to Shiva, Krishna and Buddha too and Geeta Bhawan where discourses are held. Visitors to the temple enjoy its many shrines, gardens, fountains, and sculptures. You will find many temples to Swaminathan or Murugan, the son of Shiva and Parvati mostly in South India. This Chola-style, hill-top granite temple to Swaminathan in Delhi was started in 1965 and is one of the highly revered temples in Delhi. The temple complex has smaller shrines in Pandya style consecrated to his brother Vinayagar, father Sundareswarar and mother Devi Meenakshi (comprising the four members of Lord Shiva and his family) as well as a temple for Navagrahas and a smaller temple for Idumban Swami. Located directly across from the Red Fort, this red sandstone temple is built in 1658 and is the oldest and best-known Jain temple in Delhi. The temple also functions as an avian veterinary hospital, which is popular as the Jain Birds Hospital. Built in the times of Emperor Shah Jahan, the temple’s main idol is of Lord Mahavira. There is also a temple to Lord Adinath and Gauri Shankar, built in 1761. 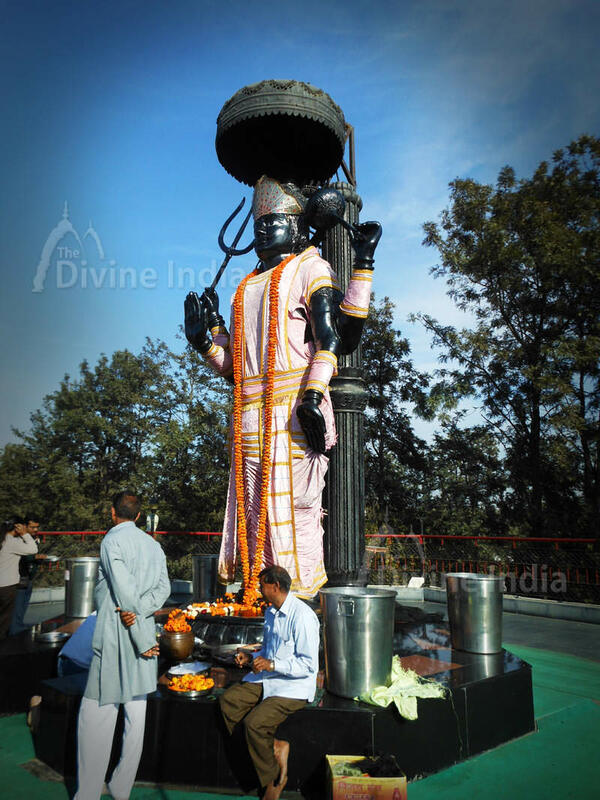 Located 6 kilometers from the Chhattarpur Temple, this temple is famous for containing the world’s tallest statue of Shani. Established under a trust, the temple administration undertakes a lot of social work and help the needy, elderly, disabled as also students in need of financial support. The temple also works hard to ensure that there is adequate fodder for cattle. Located 1 kilometer away from the INA Metro Station, the Jagannath Temple is an easily accessible alternative to all those who wanted to but were unable to visit Him at Puri. The temple is open to everyone without discrimination against caste, creed, gender or community. The temple promotes the learning of all classical Indian dances, and especially Odissi. It is also involved in promoting philanthropic activities and works to uplift the underprivileged. This Vaishnav temple of Lord Krishna and Radharani opened in 1998, near Nehru Place. There are many such temples in India built under the auspices of the International Society for Krishna Consciousness. Vaishnavism or the worship of an avatar of Vishnu, usually Krishna, originated in the first millennium BCE and continues strong to this day. West Bengal is famous for its worship of Goddess Durga. This temple is especially for all the probashi Bengali people living away from home and their Goddess. Run by a society, which organizes religious, charitable and cultural activities throughout the year, this temple is open to anyone who appreciates the traditional values and Human philosophy and open to immersing themselves in Bengali ethnicity and culture. The worship of Swami Ayyappa spread from Kerala to the rest of the country. This temple was conceived of in 1971 to facilitate the devotees of Ayyappa to meet and conduct pujas, and sing bhajans and kirtans, which are all an intrinsic part of worshipping this God. The temple follows the Chera style of architecture with stones brought from the sacred Bharatapuzha river in Kerala. Special occasion: A 41-day countdown to Makarvilakku every year in December and January, all-year-round. The temples in Delhi may follow rituals, but the visitor to a temple is not required to go through any process as long as they go there with a respectful attitude and there is no compulsion on one to even offer prayers or do obeisance. The list above is an attempt to put together the details of some of the important temples in Delhi – but it cannot be said to be exhaustive. If you have any questions regarding our list, do write into us in the comments below.